I'm starting a build soon that I have always wanted to do. I think a lot of you guys will like it. I have been gathering some parts and working out the details with cooterfinger. Not gonna say what it is just yet. Here's a few pics of what I am using for it. 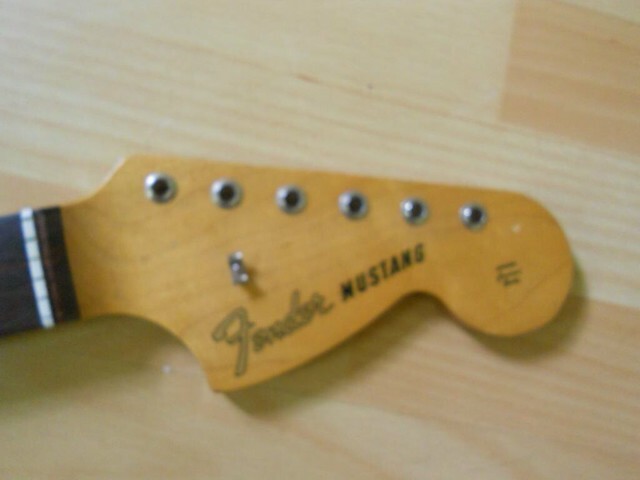 Crafted in Japan 66 Stang neck. Between an A and B size. whatever it is, i'm guessing it will look like a Fender. So I am using one of the bound blacktop necks on this and I was wondering the best bridge to use on it. I am using a jaguar tremolo. I was looking at a wilkinson roller bridge or a warmoth modified mustang bridge. 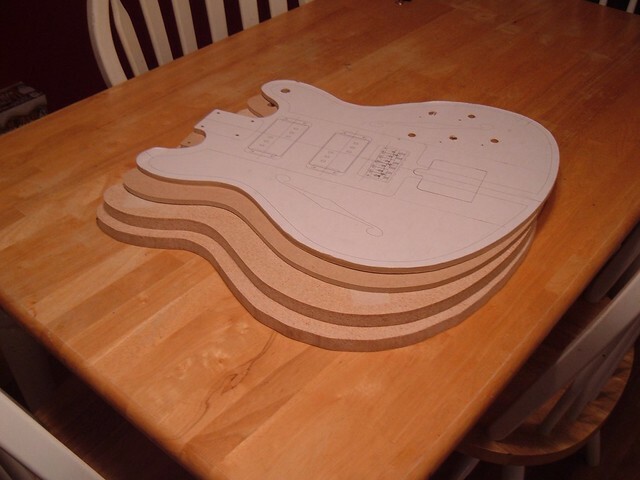 The radius on these aren't the same as a mustang and the guitar this neck was on had a TOM stock. So what do you all think? And if neither of them what else should I get? Before anyone says mastery... I would love one but I really just can't see a bridge justifying almost $200.00 How can it be almost $200 better then an average bridge? I just don't see it. German made Schaller Roller Bridge. 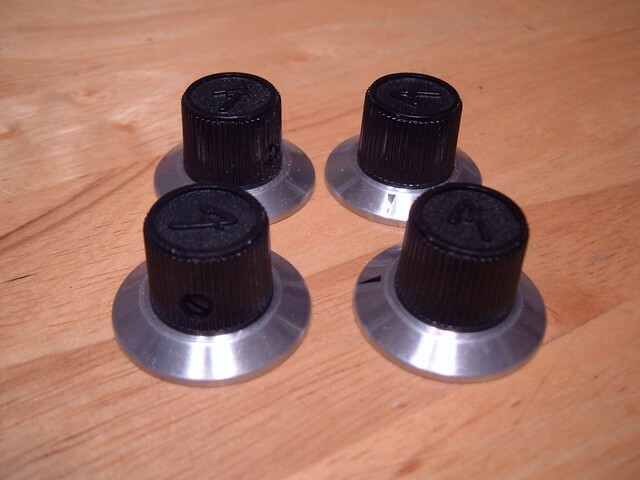 The roller saddles sit on a threaded rod, so you can also adjust string spacing. 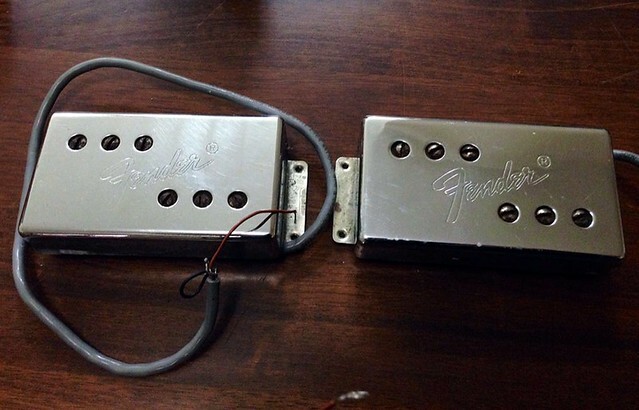 I don't know the radius but it's my favorite bridge, StewMac has em for $50... may be able to find em cheaper else where. Grr. I just hate the idea of using shims on a bridge. I looked in to the modified warmoth mustang bridges but I have read that a few people have had problems with them... And mastery is way too expensive for me right now. that is goign to be absolutly lovely.. can't wait for progress pictures and such. Blacktop Jags are 9.5" aren't they? 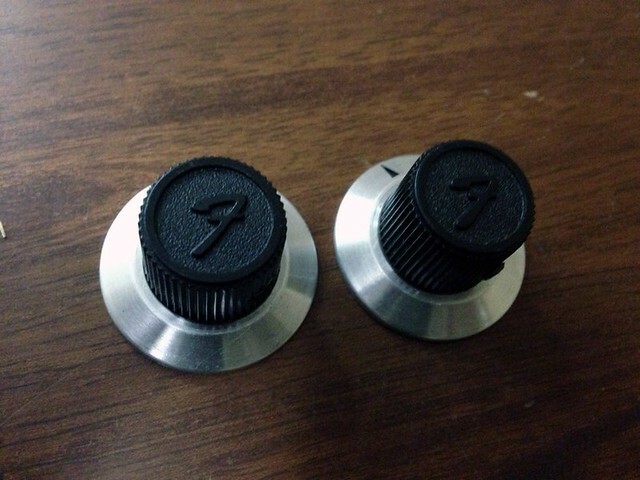 Staytrem make their bridge in either 7.25" or 9.5". Yeah. I did a bit more research on the stay trems. They sound perfect. I just need the cash for one. Cooterfinger almost has the template done. I pretty much have all the parts now. I just need a bridge. It is a 9.5 radius neck so I am thinking a 9.5 radius stay trem.